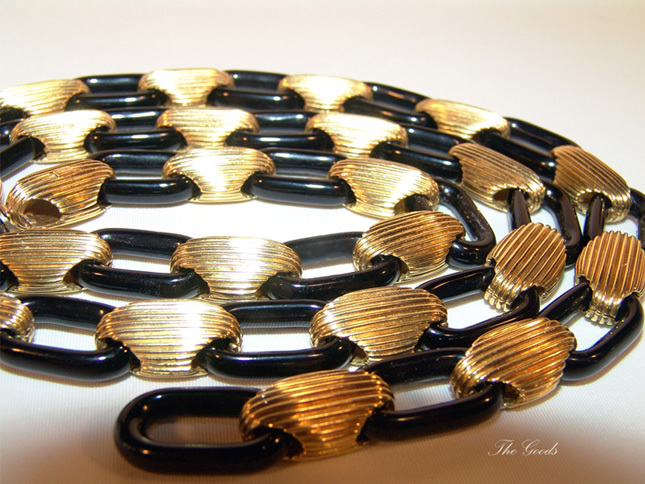 A wonderful, long, neckpiece in 18ct ribbed links (25) interspaced with oval links of onyx. The effect is not only stunning but hard to keep your hands off. Makes any evening look like a celebration.